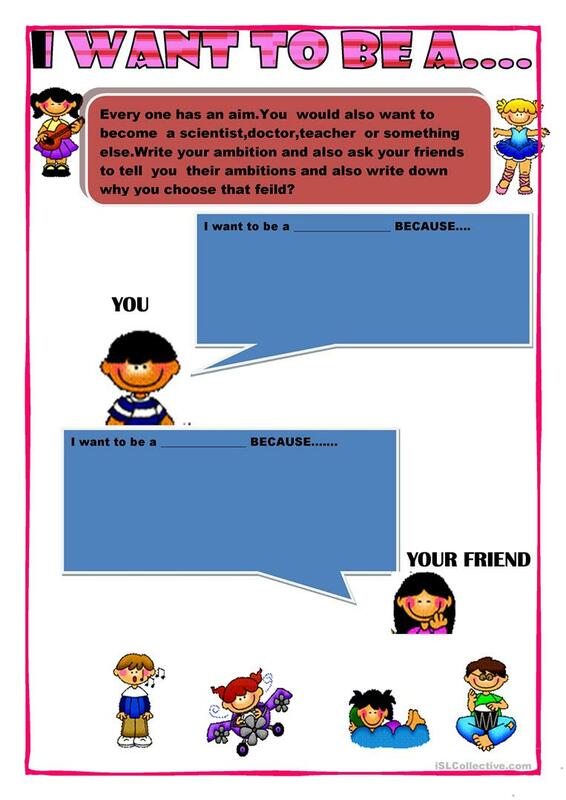 This worksheet will help the students to think about their aim and the reason for it being their choice. This printable, downloadable handout is recommended for high school students and elementary school students at Beginner (pre-A1), Elementary (A1) and Pre-intermediate (A2) level. It was designed for honing your learners' Listening, Speaking and Writing skills. It is about the theme of Jobs, work.